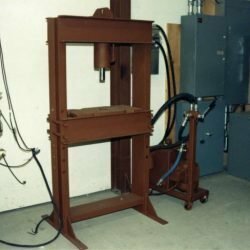 Now you can build your own top running homemade shop crane from our professionally designed top running 2000 lb homemade crane plans. 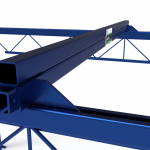 These plans were designed even for home shop crane use. 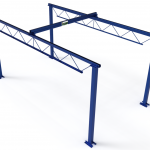 Build it yourself and save money on an overhead shop crane for your business or garage shop. 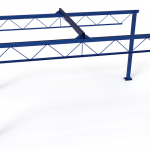 Move your equipment and weldments around your shop with ease. 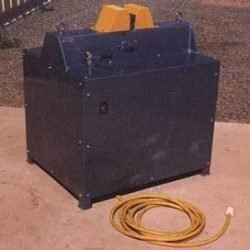 Load and unload your trucks and trailers, move auto bodies and more. 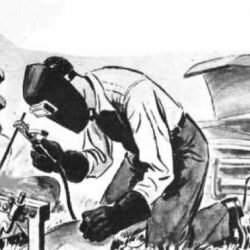 A must-have for all fabricating shops and repair shops. 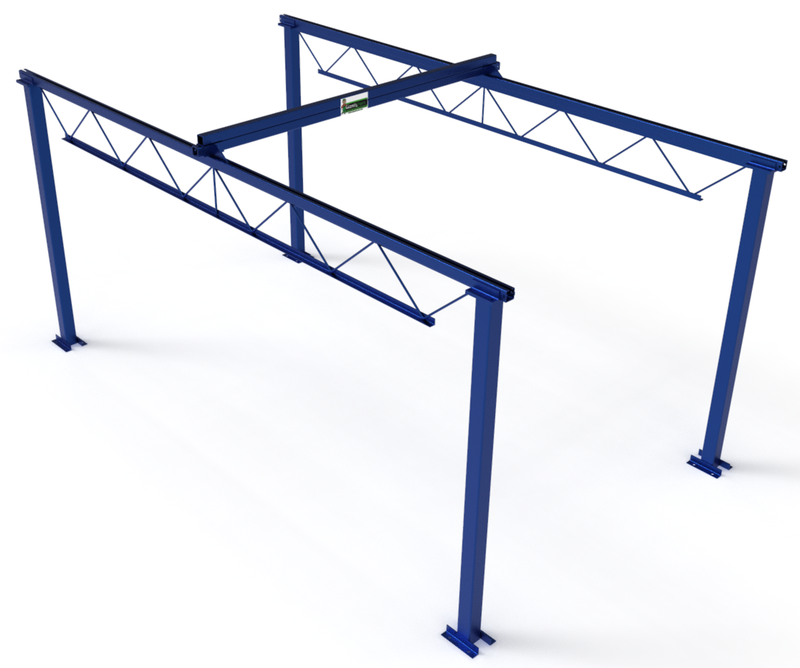 Lets you move and positioning loads of up to 2000 lbs. 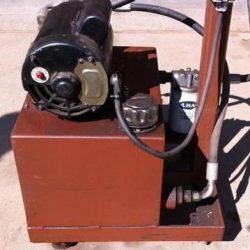 Ideal for moving all types of equipment and for shop welders to move your parts around the shop. 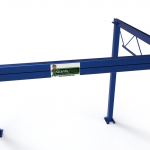 Support columns can be placed anywhere for using your shop space more efficiently.